What are the top 5 engineering colleges in Kolkata for B. Tech? Engineering is one of the most chosen fields of study by the students after their 12th standards. With the emergence of new technologies and engineering and the requirement of an extra push to the old developments in today’s competitive and ever changing arena, there are reliable job opportunities for aspiring engineers. There are many B. Tech colleges in Kolkata which provide students a platform to fulfill their dreams of studying engineering as their higher studies. 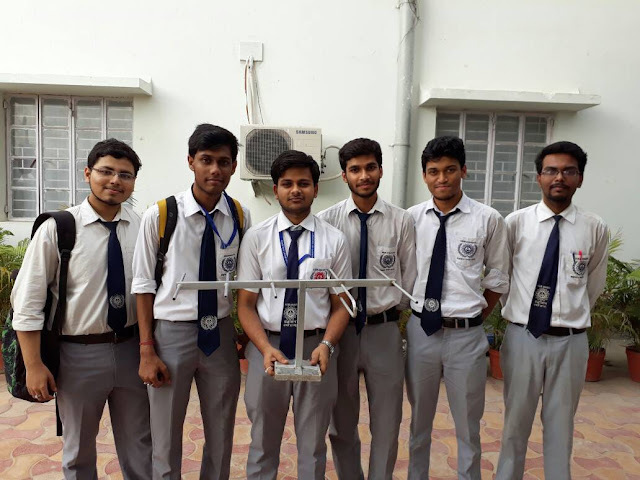 However, if you are aspiring to pursue an engineering course then you should enroll yourself into one of the topmost engineering colleges. The B. Tech programme is designed for the students who are looking forward to make a mark in the engineering field and build a strong career in the industry. The completion of this course and the degree increases the career prospects of such students. Most of the engineering institutes include classroom sessions and e-learning tools such as online tutorials into their course structure. Kolkata is one of the most popular study destinations for engineering students in India. The city has many engineering schools and has produced thousands of competent engineers every year. The below-given list consists of top institutes in Kolkata for B. Tech that will help you chose the best college for admission. University of Engineering and Management (UEM), Kolkata is one of the foremost B. Tech engineering colleges offering diploma in engineering. Providing quality education to the community at large, the institute has been able to build a special place for itself in the education industry. Since its inception, this engineering institute is striving to offer academic excellence and good governance through a staff of highly qualified, competent, and committed faculty members. It has state-of-the-art infrastructure with modern amenities including well-equipped labs and library to meet the needs of the engineering education. Techno India University, Kolkata is yet another recognised institute in Kolkata for B. Tech. It is a reputed private college that offers bachelor’s and masters’ programmes in engineering. The institute was built in order to prioritise the needs of students and advance learning. Aspiring candidates who want to pursue B. Tech can opt for this institute and earn the degree with ease. Heritage Institute of Technology, Kolkata is one of the most reputed institutes and is known for providing excellent education. It offers knowledge and training to the candidates who are working and aspire to make it large in the engineering field. The course increases job value of the candidates in the market. Founded in 1989, the institute offers B. Tech courses in engineering to the aspiring students. It has created a forte for itself in the field of engineering education through excellent academics and innovative teaching-learning process. Narula Institute of Technology is one of the best B. Tech colleges in Kolkata. Founded in 2001, it is an advanced and futuristic institute in the extent of engineering studies. Since its establishment, the institute has been one of the best colleges offering B. Tech degree for thousands of engineering students, helping them to take their careers to great heights.